Joplin firefighters from Station No. 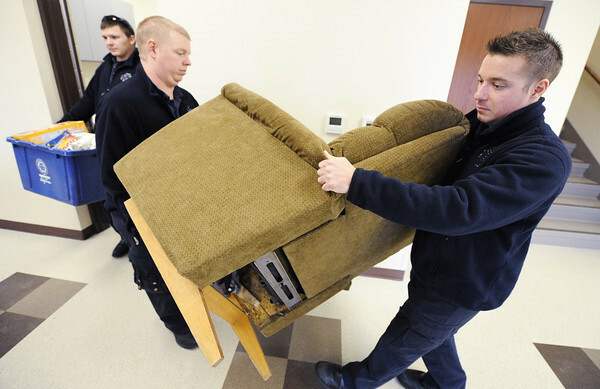 6 (from left) Justin Jenson, Aaron Asher and Micah Miller carry a recliner and other items into the new Joplin Fire Station No. 4 Monday afternoon, Dec. 23, 2013, located just south of 32nd and Main Street. Prior to the May 22, 2011, tornado, Station No. 4 was located on 15th Street and was followed by a temporary fire station until this new one opened Monday.